Speculation is rife that Britain's biggest football club, Manchester United, is about to be taken over. Here is all you need to know about American billionaire Malcolm Glazer, whose regular stock market raids are helping fuel the talk. The owner of American football's Super Bowl champions Tampa Bay, Glazer certainly has the credentials to follow in the footsteps of Chelsea sugar daddy Roman Abramovic. While not quite as rich as Abramovich, he is estimated to be worth £630m ($1bn), putting him 244th on Forbes magazine's US rich list. And his fortune is self-made, the product of hard work and a series of ambitious investments in property, banking and, most recently, sports teams. Glazer is a public villain made good in Tampa Bay. The 75-year-old was vilified in 1995 when he bought the Buccaneers National Football League team for £120m and proceeded to send ticket prices sky high. And he attracted further criticism when he forced the city to invest millions on a new stadium, threatening to take his franchise elsewhere if the money was not forthcoming. Since then, however, things have looked up. The Bucs were the 2003 Superbowl winners and are one of the most valuable franchises in the NFL. Could he pull off a Manchester United takeover? Financially, it would still be a stretch for Glazer to buy the club outright. In February 2004, analysts estimated it would cost the market value price of £740m plus an extra £100m to seal the deal. But logistically a swoop is eminently possible. He is now close to passing the 28.89% owned by John Magnier and JP MCManus, and to securing a 30% stake, which could spark a full takeover bid. That is - quite literally - the billion dollar question. One of Glazer's six sons is a football fanatic, but running Manchester United might not be at the top of the family's long-term list of objectives. 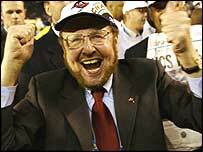 Glazer had a bid for baseball franchise Los Angeles Dodgers thrown out because he already owns the Buccaneers. And he is also known to be very interested in bringing American football back to LA, the second largest city in America and a potential investment gold mine. Some analysts expect him to one day use the Buccaneers to raise the collateral to get involved in Californian sport. 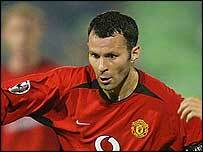 So what does Glazer want with the Premiership champions? He could be preparing for an Abramovich-style takeover, confident that one of the biggest football clubs in the world - although already a mature and profitable company - could still bring a healthy return. Or he could be upping his stake to put himself in pole position to sell-out at a huge mark up to another would-be owner. Only two things are certain. Glazer likes to make money on everything he buys. And, as former business associates attest, he enjoys keeping people guessing. On that basis, nervous weeks loom for Red Devils fans as they are made to watch this ownership struggle play out.